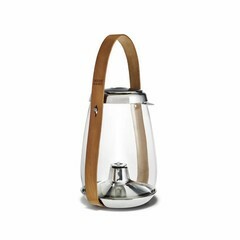 In dark gray glass and with a black leather cover the DWL lantern gets a cool and chic look. This is the largest size of 29 cm. 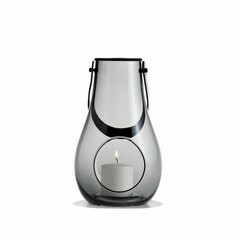 Suitable for candles and tea lights. 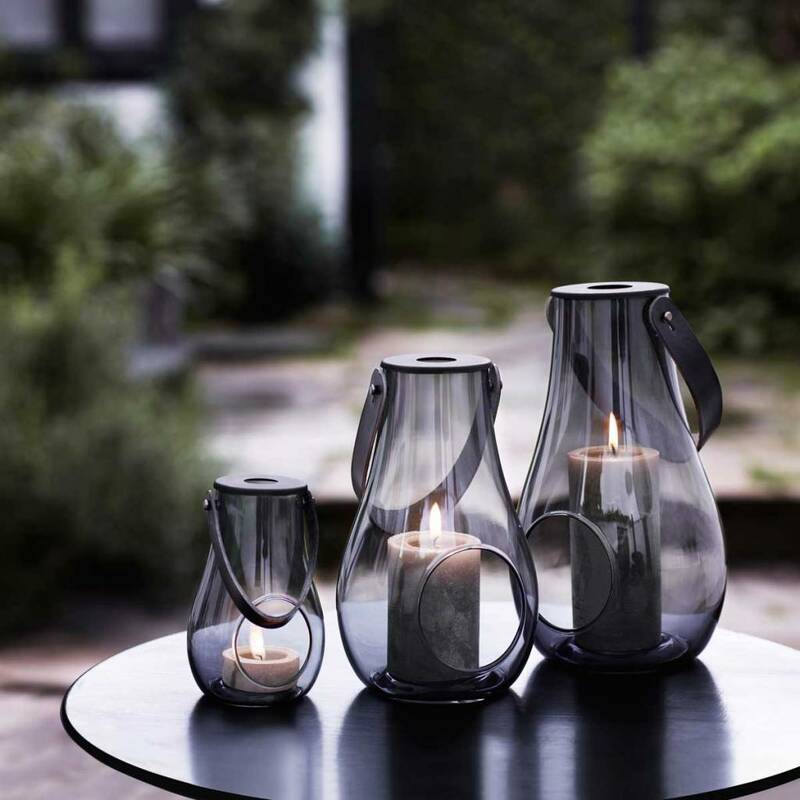 The DWL series by Maria Berntsen for Holmegaard was released in 2011 and has been a great success from the start. This dark gray version is the newest addition in the series! 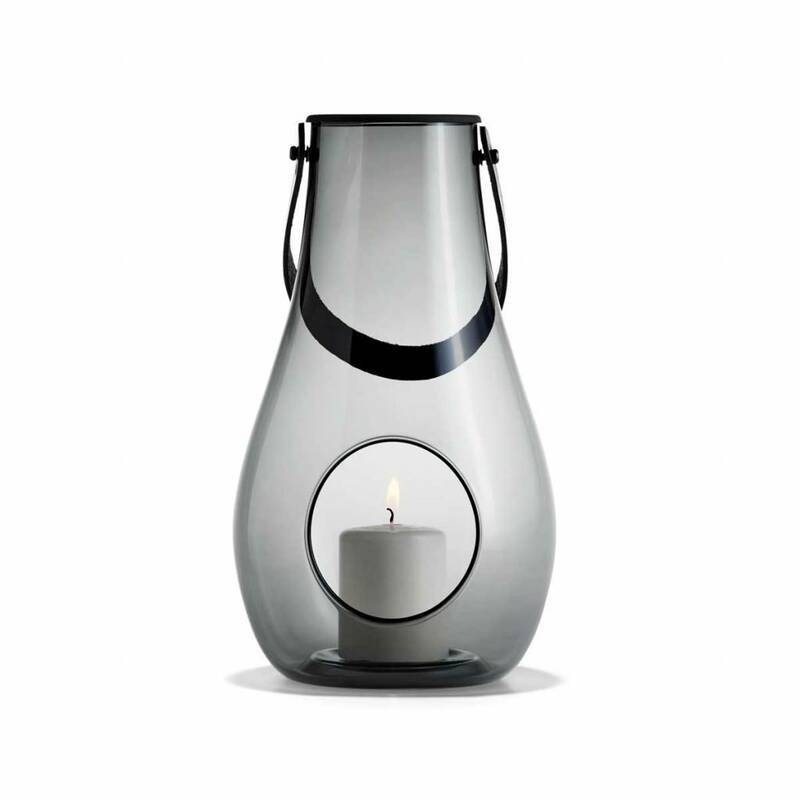 Maria's beautiful glass lanterns on the table or on the floor immediately give a luxurious and warm atmosphere. 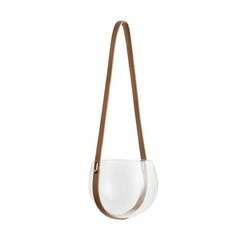 The round but tight shape gives them softness, the materials glass and leather are typically Scandinavian. 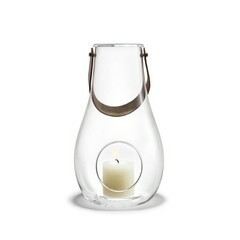 A Design With Light item is a popular gift for the holidays and any other special occasion. Because isn't giving light is a very nice gesture? 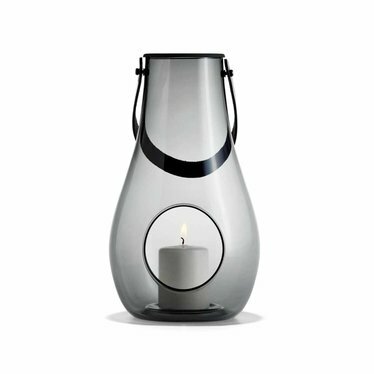 The Design With Light lantern is suitable for wide candles and for tea lights. 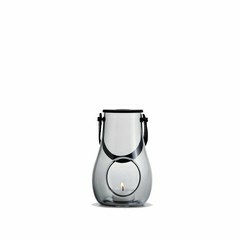 Material: mouth-blown dark grey glass - black leather handle. 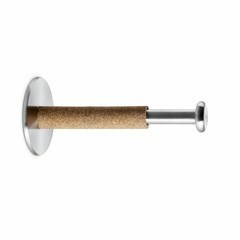 Clean by hand, not suitable for the dishwasher.